Matched Betting Q&A #2 – Join us Live! Guy from Early Retirement Guy and Matched Betting Guy is joining me once again for another Matched Betting Q&A live on Google Hangouts this weekend. The last one went down really well from our perspective. It created a host of follow questions and we were delighted to see people trying out Matched Betting for the first time. We want to spend another hour trying to help more people out with this side income option – whether it’s encouraging you to start, or improve on what you’re doing. Guy made £2,427 in profit last month from Matched Betting. I’ve now made over £1,000 doing it very sparsely. Why can’t you! It’s down to you! We plan on answering your questions live this Sunday. This post is designed to trigger your questions. So, what do you want to know? What are your biggest concerns about starting Matched Betting? What problems are you currently encountering? What are your biggest frustrations? What areas of Matched Betting would you like to have more clarity on? How can you take your earnings to another level? If you have a question for us, drop it in the comments section below or the ‘contact me’ section on the right hand side of the Blog. I’ll be tracking the incoming questions from everyone on Youtube’s live stream, so you can ask us a question live too. You can join the call from the link I provide on this Blog prior to the call. You can join us at any time during the call. The last one was around 60 mins. It’ll also be going straight onto Youtube once the call ends, so you can choose to watch it at your leisure instead. Will you Mess up the start again? If you’re not bothered about Matched Betting, it might be worth watching the call for the potential calamity filming once again, if nothing else. Drop your question in the comments below and we’ll do our best to answer it in an open and honest way. Hi huw, My question to guy is has he blocked iesnare (a software that spys on you that bookies use) from his pc? I recently signed up to a matched betting site and they mentioned that you should block iesnare because bookies can track what you're doing and shut you down. – How many accounts have been gubbed and do you do any/many mug bets? Thanks and look forward to the broadcast! My questions to guy are – 1. Has he blocked the software called iesnare? It's a thing that bookies use to spy on you and see what kind of punter you are, the reason I'm asking is I signed up to a matched betting service and they recommended I block the software so I can't be tracked. 2. I'm just about to start my matched betting journey, I'm looking to do this full time, I've heard people saying it's unrealistic to earn £2000 so what does guy think? Realistically how much can I earn doing this full time? Thank you Craig. This'll be Q.1! Thank you Adam. I'll be sure to ask him both sets of questions. I hope you enjoy the call! Not a problem Weenie. I hope you enjoy my amateur hosting on Youtube later. Thank you for the input. I'll put both questions to him! I would be interested to also hear how Guy handles multi accounts and his thoughts on the legality of doing this. Having two accounts i.e. you and your spouse is one thing but having multiple is a very grey area. In some research I have done on the subject recently I came across cases where people have been given custodial sentences for running such accounts. Both myself and my wife have accounts and get no where near what Guy says he is getting, therefore I can only assume he has quite a few accounts. I hope to join you at 11am. Thanks for the question Richard. I'll put this to him this morning. I hope you enjoy the call! 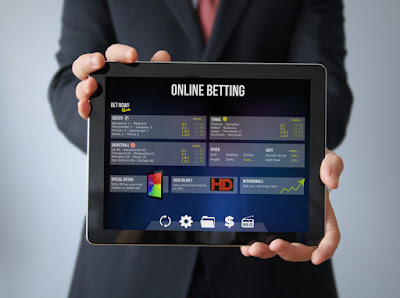 1) Can you bet at Betfair sportsbook and lay at Betfair exchange? 2) How to generate recurring offers? (after new customer offers). How long after qualifier bets would you expect to get offers? 3) Are bookies getting wise to this? Betway T&Cs said "reserve the right to void free bets if evidence of 'guaranteed customer returns regardless of the outcome'." Noted. Thank you Adam. See your shortly! Thanks for arranging this again and thanks to Guy for answering lots of questions. A lot of interesting and useful stuff learnt again, the main one actually being that I still don't feel like I need to take that extra risk and go for the big money, I'm happy getting around £400 a month, although averaging £500 would be nice (for me!). This month will be the first where I'm not doing any new account sign ups (only the complicated ones left anyway) so will be good to see what I can get from reloads alone. Cheers and happy matched betting! You're welcome! I'm glad you found value in it! I learned a lot form it too. I think Guy is excellent at explaining the complex information in an easy-to-understand way. June should make for an interesting month for you then. Based on the conversations I've had with people – I think most are interested in the long term/sustainable income that can be derived from MB most of all. The sign up offers are great, but just knowing they aren't long term income sources can lower their motivation – even though it's still free money. Once you've reached your risk tolerance and signed up to everything, it's interesting to see what can be made. I think that figure can fluctuate a lot depending on your risk tolerance. I wish you the best of luck with getting £500 on a consistent basis, it's certainly not an amount to be sniffed at! I haven't caught this second round yet so my apologies if it was covered. Is it a mistake to trial different matched betting software? I know PA and Oddsmonkey offer trials, so would guy recommend just trying one and paying up for a real membership? I ask as I wonder whether trying out different software depends on using up the same offers essentially? Another question if I may? I noticed Oddsmonkey have a ton more beginner offers in their trial than PA, is it a mistake to use these as it'll damage potential profits when using the full PA software? I'm aware the same offers will be on both but the Oddsmonkey ones seem to be very low in terms of bet £10, get £10 free bet etc, I suspect these offers sometimes scale with higher deposits? No reason not to try out all 3 of the main ones and pick which bets suits you. PA is better for a more hand-holding approach to the offers, OM is the cheapest and PM is best for more advanced & casino offers. Personally I recommend people go for PA to start with (trial then a couple of months) then cancel their subscription and move to PM. Most offers do not scale and are the same regardless of how you arrive at the site. The main exceptions to this are William Hill, Betfair, Paddy Power and Coral who will often do limited time offers like "bet £50 get £150" around special events like Cheltenham and Ascot. Remember; the signup offers are easiest but it's the recurring offers which give you the most money in the long run. thank you Huw and guy for this response and the above one! Yes, by all means. I went straight into Profit Maximiser. I've been helping Guy with kindle and he in turn helped me transition into it. I liked that it was a little more advanced, and cheaper. I don't need as much hand holding as most people in business based stuff. It's worked out for me anyway. As I haven't been on PA, I can't tell you what the differences are. You probably know as much as me about the site. Guy's your man on that one. According to Guy and others, PM has more earning potential and more options to earn within (Bingo, Casino etc). However, those that I know that are doing PA, state it's excellent too. I take it PM still contains a full set of signup offers etc? Thank you for the continued advice and guidance! I wouldn't say it contains a full set of sign up offers, but there are a shitload available. Most of which I had never heard of!